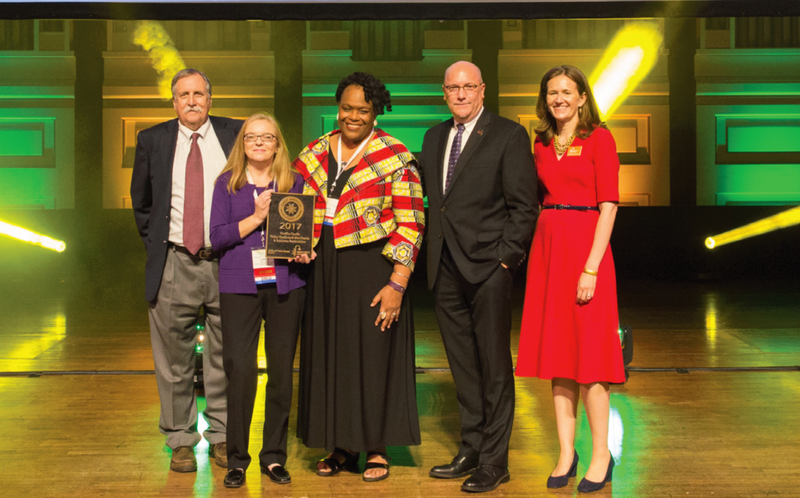 During its annual Main Street Now National Conference in May, the National Main Street Center awarded three Main Street organizations for their exceptional work in revitalizing their historic downtowns or neighborhood commercial districts. The award is called the Great American Main Street Award, or GAMSA. One of the three recipients from across the nation for this year’s award was the Oretha Castle Haley Boulevard Merchants and Business Association (The Boulevard), the organization responsible for implementing the Main Street Approach to revitalize Oretha Castle Haley Boulevard in New Orleans. “The Great American Main Street Award is the highest recognition given out by the National Main Street Center,” said Patrice Frey, the Center’s President and CEO. “Each year, we celebrate exceptional Main Street America organizations for their work in creating more economically, socially and culturally vibrant commercial districts. This year’s winners are truly at the forefront of commercial district revitalization. They are a testament to the power of the Main Street Approach, and the great potential of downtown districts in cities and towns across the country,” she said. And model partnerships, including inclusive engagement of community members and local shareholders in the downtown revitalization process. The 2017 GAMSA competition was strong, with semi-finalists from 10 very different communities, including Berlin, MD; Cedar Rapids, IA; Chillicothe, MO; Columbus, GA; Covington, KY; Goldsboro, NC; Los Alamos, NM; New Orleans, LA; Wausau, WI; and West Chester, PA. These semi-finalists have together generated almost a billion dollars in public and private investment, while creating 5,679 new jobs, opening 1,085 new businesses, rehabilitating 1,359 buildings and clocking over 133,000 volunteer hours. The excitement level at the GAMSA ceremony was great when Patrice Frey announced the 2017 winners: Oretha Castle Haley Boulevard, Renaissance Covington (Kentucky) and West Chester BID (Pennsylvania). Receiving the award on behalf of the OC Haley Boulevard Merchants and Business Association were Board President Carol Bebelle, Executive Director Linda Pompa and Louisiana Main Street Director Ray Scriber. From left to right: Ed McMahon, Chair, National Main Street Center, Inc. Board of Directors; Linda Pompa, Director, Oretha Castle Haley Boulevard Merchants and Business Association; Carol Bebelle, President, Oretha Castle Haley Boulevard Merchants and Business Association; Ray Scriber, Director, Louisiana Main Street; and Patrice Frey, President and CEO, National Main Street Center, Inc. The Boulevard was first designated as a Louisiana Main Street district in 2006. It was one of four districts selected by the state coordinating program, housed in the Louisiana Division of Historic Preservation, as part of its efforts to assist in the city’s recovery from Hurricane Katrina. At the time of its designation, the building occupancy rate in the 24 square block district was only 14 percent. In the years since designation, the district has seen the creation of 176 new jobs, 32 new businesses, 24 building rehabilitations, and more than 11,000 volunteer hours. There has also been significant new building construction, creating varied housing, retail and cultural opportunities. The current building occupancy rate is 46 percent. Originally named Dryades Street, Oretha Castle Haley Boulevard operated as a racially mixed business district that began in the 1830s. African- American businesses thrived on Dryades Street at the turn of the 20th century. In addition, newly-arrived Eastern Europeans were operating small family businesses in the Dryades Street area. By the 1930s the street was an entertainment and shopping alternative to Canal Street. Merchants on the strip did not harbor the hostile racial attitudes of some of the Canal Street businesses. Additionally, Dryades Street merchants were diverse — Jews, African-Americans, Italians and others operated side by side. At its height in the 1940s and 1950s, there were more than 200 commercial establishments in business, including the Dryades Street Market which flourished with meat, fish and fruit stalls. By the 1960s, the corridor was recognized as one of the few areas in New Orleans where African-Americans could shop without fear of harassment. But after the 1960s, businesses declined for many reasons, including the integration of the other commercial areas of New Orleans prompted by the Civil Rights movement. Dryades Street fell on harder times in the 1970s and 1980s. The same demographic and market forces that depressed other shopping areas across the country also visited Dryades Street. Many residents left the area and the supporting businesses followed. But in the 1990s, a coordinated effort by lending institutions, non-profit organizations, the city’s housing and neighborhood revitalization offices and private individuals contributed to the present day renewal effort. The Ashé Cultural Arts Center, Café Reconcile and other non-profit organizations rose as the anchors of the revitalization. While the makeover of The Boulevard has been many years in the making, several major developments have opened within the past three years. New restaurants such as Casa Borrega, Primitivo and the Roux Carre food court, with tenants such as Estralita’s Express, Johnny’s Jamaican Grill, The Pupusa Lady and Diva Dawg, have opened. Cultural and shopping opportunities such as the Southern Food & Beverage Museum, the New Orleans Jazz Market, Dryades Public Market and art galleries complement the new restaurants. In addition, long-time anchors have continued to invest in the neighborhood with Ashé Cultural Arts Center’s expansion of its campus into the newly restored historic powerhouse on Baronne Street, and Café Reconcile’s remodeling and expansion of its facility. Since achieving Main Street status in 2006, the adaptive reuse of many historic buildings along The Boulevard has played a major role in its makeover as well. The rehabilitation of the Southern Food & Beverage Museum and that of the historic powerhouse, just to name a few, would not have been possible without the use of state and/or federal historic tax credits. These credits have leveraged approximately $36 million dollars in private investment in this Great American Main Street community. Other major improvements to the public face of The Boulevard have just been completed through the City of New Orleans Streetscape Project. This project has provided a widened and landscaped median between St. Andrew Street and Martin Luther King Boulevard, repaired sidewalks, added new, striped high-visibility crosswalks and bike lanes, and converted the roadway from two travel lanes and one parking lane into a parking lane, bicycle lane and travel lane in each direction. The newly improved look of the street will provide a beautiful backdrop to the outdoor festivals and events that take place on The Boulevard. 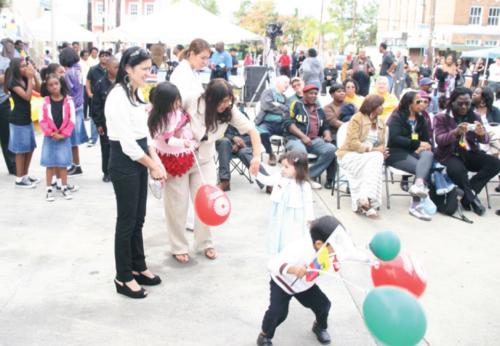 The annual Central City Festival in November has been bringing families, neighbors and tourists to the boulevard for 10 years. 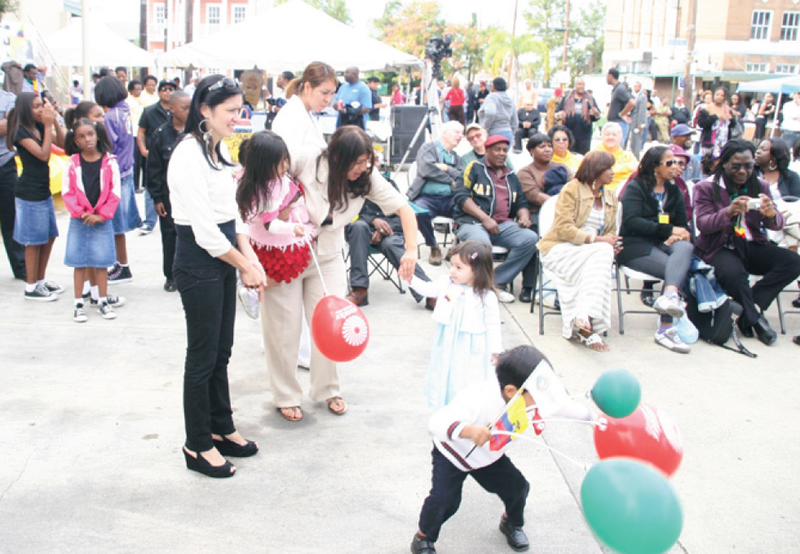 It features live music and dance, kids’ performances and activities, a health fair, and artists selling their wares. First Fridays on The Boulevard is a monthly afternoon and evening of activities at restaurants, galleries, music venues and shops featuring discounts, live music and more. 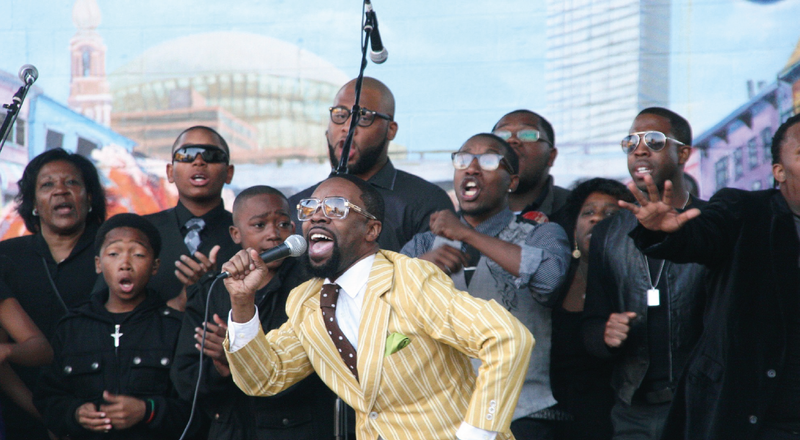 Central City Festival, a Main to Main annual event, attracts members of the community as well as visitors from around the city. Photos courtesy of Louisiana Main Street. Not only is Oretha Castle Haley Boulevard Merchants and Business Association a GAMSA winner, but the organization has also achieved status as an annual Nationally Accredited Main Street Organization for the last few years. National Accreditation means that the local Main Street organization has a proven track record of success in planning, implementing and measuring results that align with the Main Street approach. The local organization has also met a series of rigorous accreditation standards. Nationally Accredited programs are selected by the state coordinating program, Louisiana Main Street. 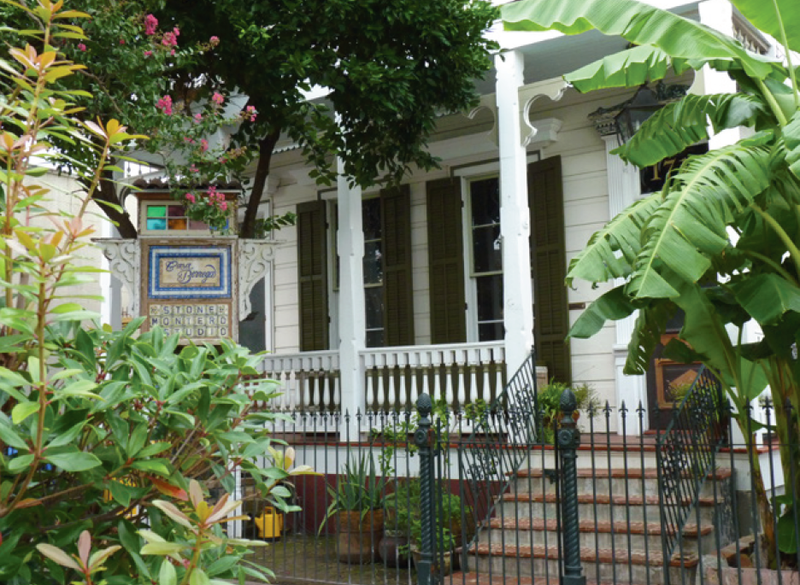 Louisiana Main Street is an economic development program with its foundation in historic preservation. 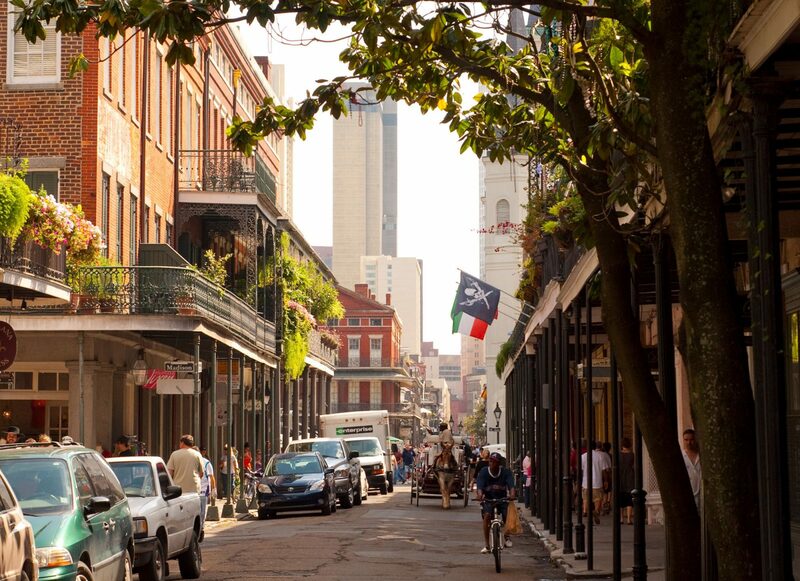 The Louisiana Main Street network is made up of 34 local Main Street organizations. Thirty of these organizations are located in small towns with population of less than 50,000. These organizations work to bring about revitalization and economic competitiveness to the historic downtowns of their communities. 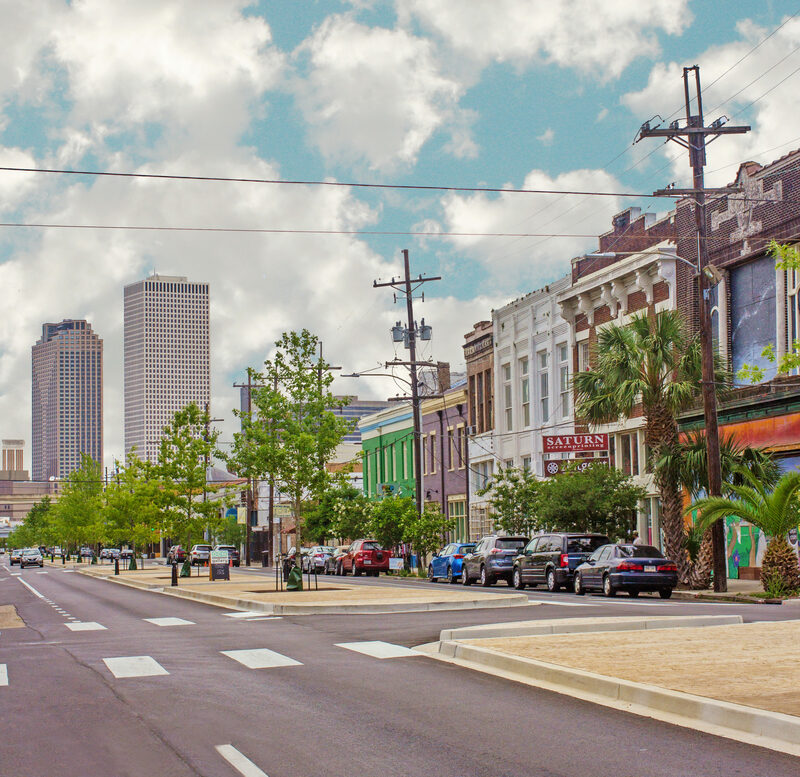 In New Orleans, four local Main Street organizations work to bring about this same result in four of the city’s historic neighborhood commercial districts. The Main Street Approach to revitalization is based on Four Points: Design, Organization, Promotion and Economic Vitality. The Approach begins with creating a vision for success on Main Street that is rooted in a solid understanding of the market realities of the district and is informed by broad community engagement, but a vision of success alone is not enough. Main Street organizations develop transformation strategies that will provide a clear sense of priorities and set the direction of the revitalization efforts. Work on the strategies aligns with the Four Points that Main Streets have been using as a guiding framework in Louisiana since 1984. Currently, the Louisiana Main Street network is made up of Abbeville, Bastrop, Columbia, Crowley, Denham Springs, DeRidder, Donaldsonville, Eunice, Franklin, Hammond, Homer, Houma, Kenner, Leesville, Minden, Monroe, Morgan City, Natchitoches, New Iberia, New Roads, Opelousas, Plaquemine, Ponchatoula, Ruston, Slidell, Springhill, St. Francisville, St. Martinville, Thibodaux, Winnsboro, and in New Orleans, Broad Street, North Rampart Street, Oretha Castle Haley Boulevard, and Old Algiers. In addition to Oretha Castle Haley Boulevard, two other Louisiana Main Street communities have been named as Great American Main Street Award Winners. New Iberia Main Street won the award in 2005 and Natchitoches Main Street won the award in 2006. Oretha Castle Haley Boulevard as seen looking towards downtown. Photo by Liz Jurey.